We have designed and continue to maintain Best Pro Cleaning’s Website. We also do printed work for them including business cards. Recently, they wanted to add some promotional items with their newly updated logo into the mix. 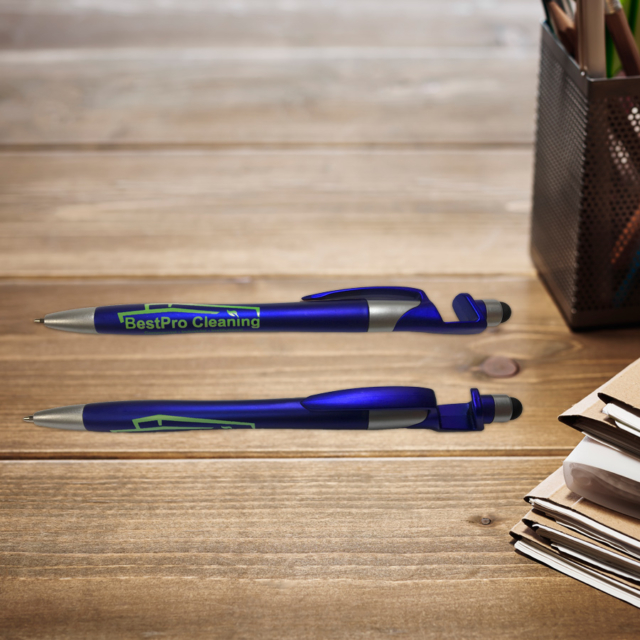 These pens have a stylus and even slot to hold up your cell phone at the top.